The SHOT SHOW 2019 is held in Las Vegas, USA on January 22nd-25th. This grand tradeshow is an annual gathering for the shooting, hunting, and firearms industry, featuring firearms, ammunition, law enforcement, outdoor clothing, lighting equipment and other related products and services. As an internationally famous tactical flashlight brand, NITECORE attends SHOT SHOW at Booth 341 with various innovative and technological products for customers. This time it exhibits the innovative and smart flashlight TM10K with a 10,000-lumen output and the upcoming new product P22 specially designed for law enforcement, as well as the multifunctional tactical flashlight CI7 combined with high power infrared light and white light and the tactical flashlight P18 with a silent tactical tail switch, leaving our audience greatly impressed. 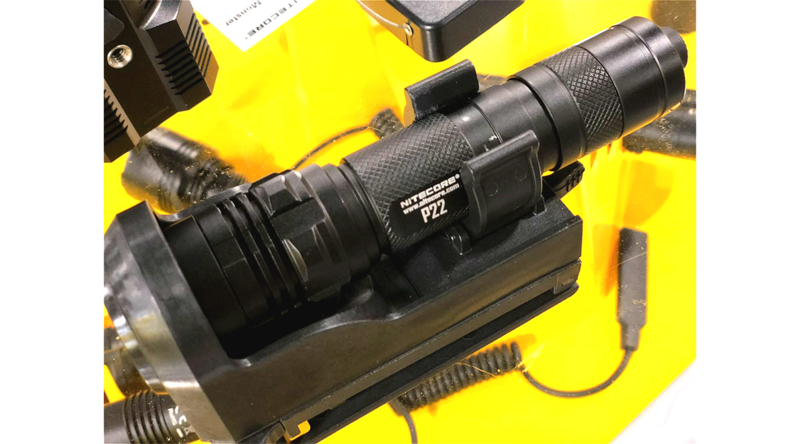 In the exhibition, NITECORE shows the next-generation upgraded GTS version, including P12GTS, MH12GTS and MH25GTS, with an 1800-lumen output only powered by one single Li-ion battery. The double-layered tube structure greatly improves the impact resistance and stability of the flashlight. It has to be mentioned that they are also equipped with the unique STROBE Mode of randomly changing frequencies, which can effectively enhance the dizzying effects to enable a preemptive strike. They will certainly become the second-to-none tactical flashlights in the industry. In addition, the Revolutionary High Performance Pocket Light TUP is shown. With the spirit to “Keep Innovating”, NITECORE has integrated the multi-functional OLED display, the built-in large-capacity Li-ion battery, the efficient circuit board and micro-USB direct charging function into such an ultra-compact body. At the same time, with an optical system combined with crystal coating and “Precision Digital Optics Technology” (PDOT), TUP can produce a dazzling 1,000-lumen output instantly. It has pushed back the frontiers of pocket lights and has redefined what we know about the EDC equipment. 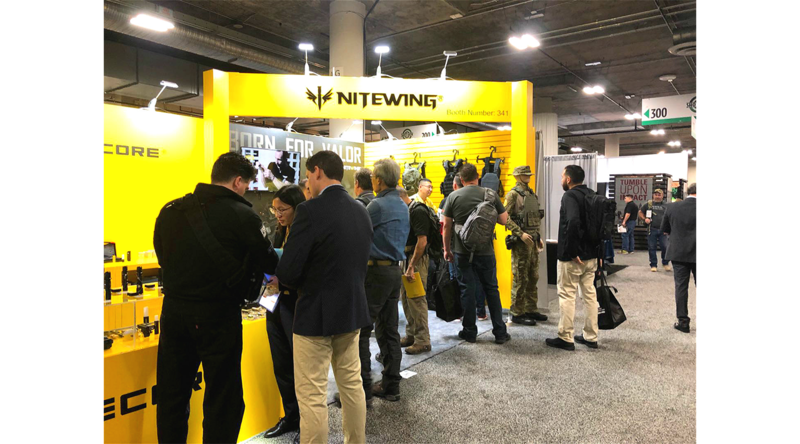 NITECORE is also unveiling its newly developed sub-brand NITEWING, which is a professional brand of military and police equipment established by veterans, former military and police officers with products ranging over Tactical Apparel, Body Armor and Packs, and Tactical Gear. 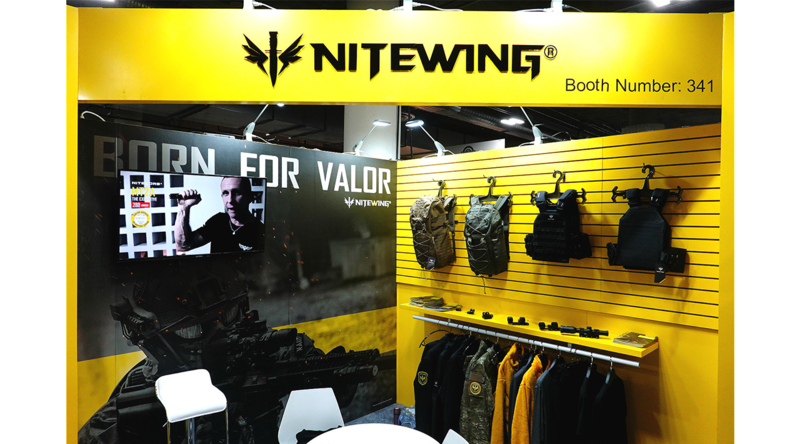 With the notion of being “Born for Valor”, NITEWING aims to combine the latest technologies and practical military experience to create products of the premium quality with all-weather protection for professionals. The SHOT SHOW 2019 is providing a wide platform for NITECORE to share its honors and achievements. By showcasing the latest developed products, it has gained a tremendous amount of admiration as its tactical flashlights has been internationally recognized as the standard equipment of police or military officers in various countries. In the future, NITECORE will keep striving to provide excellent products for customers. Please stay tuned for more news on our official social media accounts.